After we got up quite late, at around 8 am, we started our day with some sandwiches and a drive from our hotel to Wells Gray Provincial Park. After having driven to all easily accessible falls yesterday, today would be a day filled with hiking and trails to get our legs working again, and to see all beauty of the park on foot. 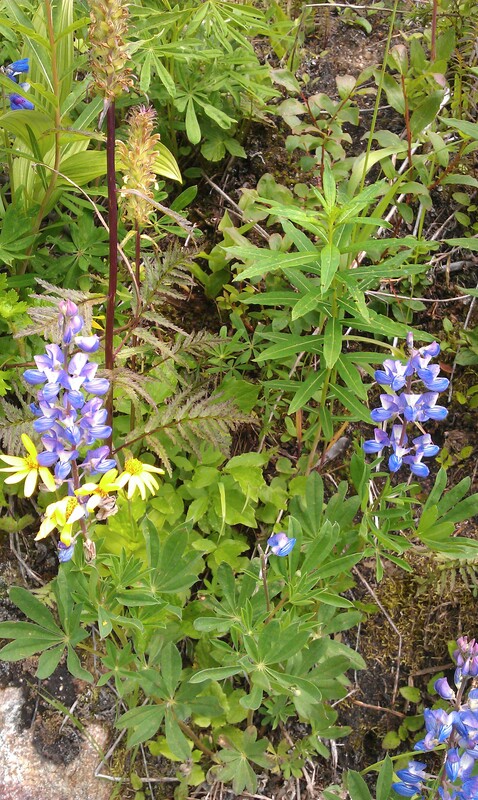 We started off with a trail to some alpine meadows which should be brimful of flowers by now, according to the local weather and season. 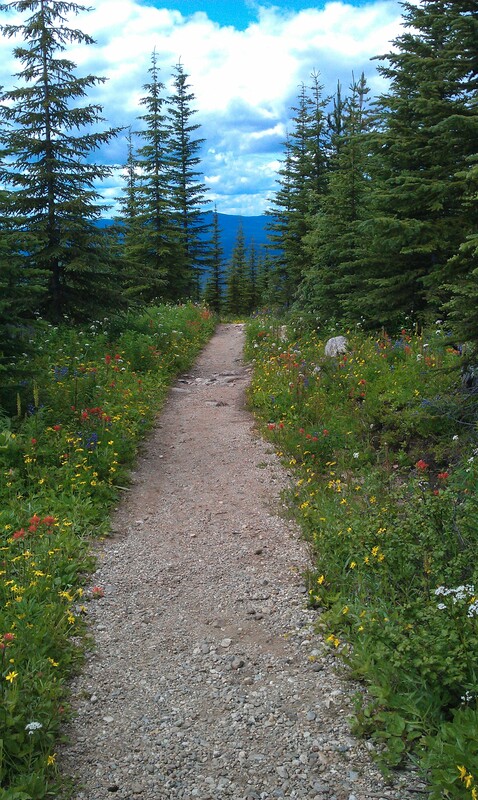 The trail is called Trophy Mountain and is only accessible through some secondary road. Yes, that would be ye olde gravel again. After ‘quite an interesting ride’ we arrived, fully shaken and not stirred, at the parking lot to access the trail. We were quite happy with the 3.5 litre 250bhp AWD car we were given as it cruises up with ease. It was just the shaking, rattling and imminent leak in a tire which got to us. 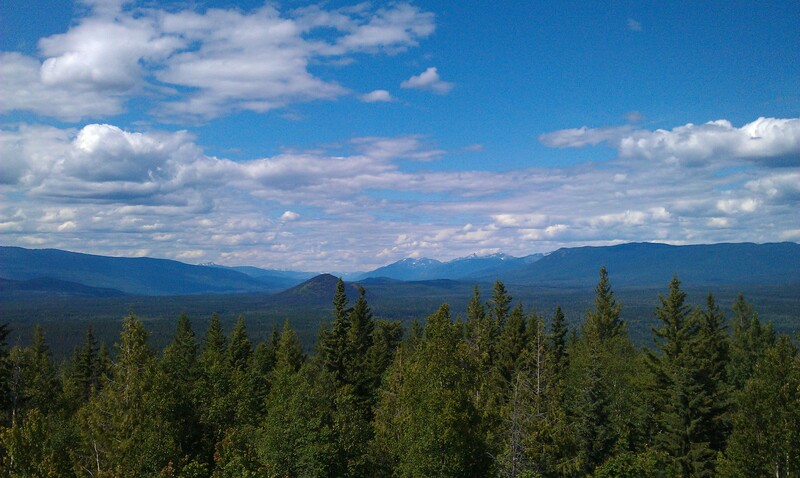 Today was another day of moving for us, we left cosy Jasper and headed out on highway 5 to Wells Gray Provincial Park. In particular, we left for Clearwater but that is so tiny, the Provincial Park is the only reason for its existence. Clearwater is basically built right next to the highway, with our hotel literally metres away from the leftmost line on the tarmac. All visitors come just for one thing: British Columbia’s roughest and wildest part, Wells Gray Provincial Park. It has an incredibly large area of remote and virtually unreachable parts that most of that is only accessible by long boat trips, week-long hikes and helicopter. To make things clear: it basically has only 1 road, of which only half is actually paved. The length of that is about 50 km, the rest is ‘secondary’ road. We would call that a dirt road. And that is all. Nothing else, apart from small hiking trails and a complete absence of guidelines on how the trails go. You’d need a very detailed map to get around the place. With all this in mind, it is quite remarkable the park is as busy as it is, but it is mostly visited by adventurous hikers because of the rugged nature of the park. We are not like that and will definately stick to the easy trails as we *really* dislike bumping into a bear while on foot. 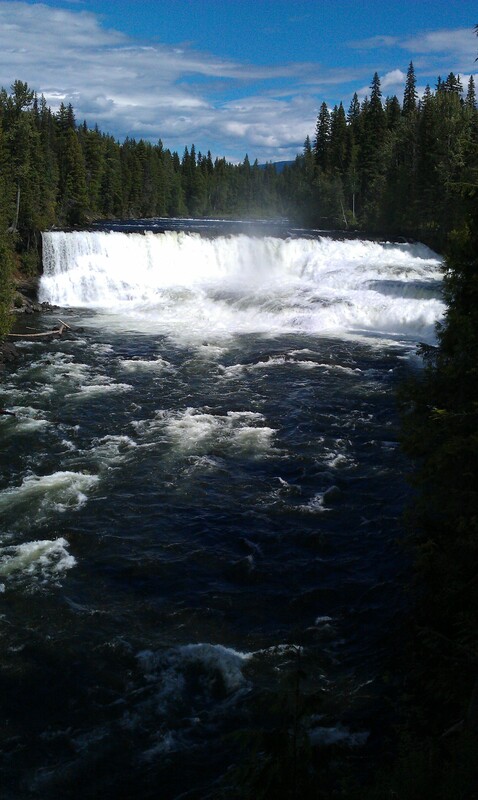 We started our day off with a drive up the park and visits to three falls in total. All three really different but equally beautiful. 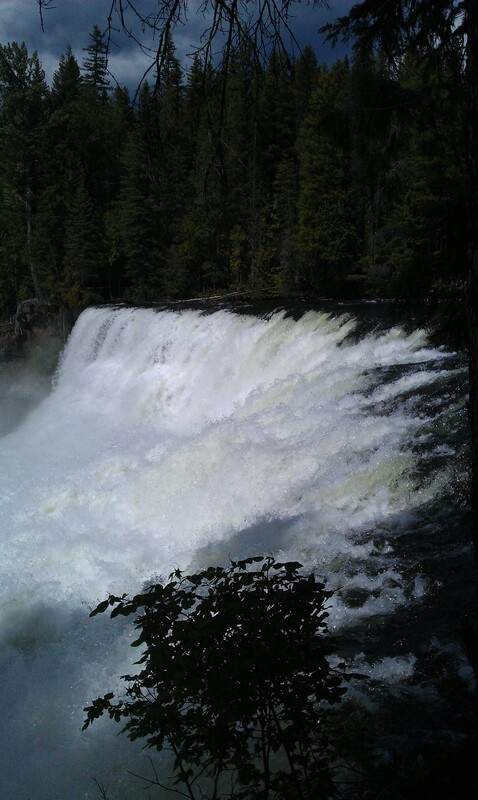 We started off with Spahats Falls, and went on to something described as BC’s own Niagra Falls: Dawson Falls. 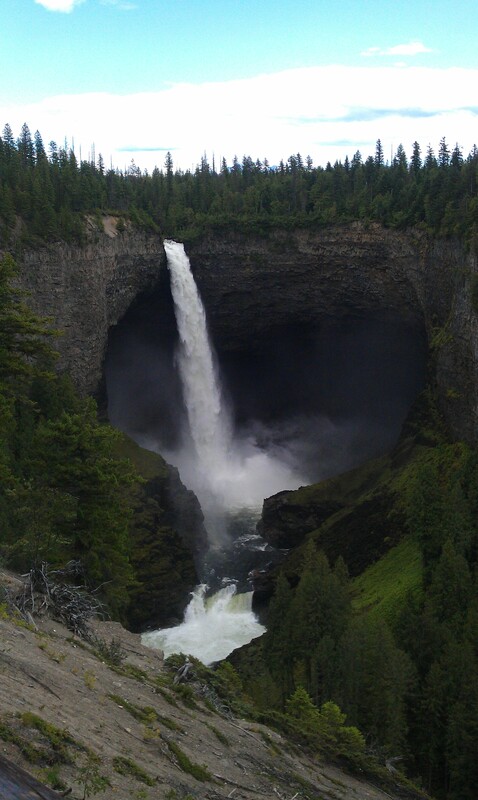 The most amazing one was Helmcken Falls, where the river has a free drop of 142 metres. Now that is high! Tomorrow, there is some hiking planned. We will not be doing anything where bear encounters are a possibility as we are not adequately equipped but easy and well tread hikes will have to do. Did you know they sell something called bear spray (which is pepperspray on steroids) and it costs a whopping $40 CAD per can? Yet another day in Canada’s finest of parks: Jasper National Park. The brochures describe it as the gentle giant. Next to Banff NP it is larger but also a little less developed and more “rustic”. Which means there are less signs, less described trails and, unfortunately, less bears. Today though, we did see one black bear, which is quite a rarity as the population is much smaller compared to Banff NP, where encounters occur that often in order for very strict bear-rules to apply to hikers on trails: there are numerous trails where hiking in groups of 4 is mandatory! We started this day off with a drive over highway 93a, the old version of 93, towards highway 16 to get to the road which would take us to Maligne Lake. This meant driving about 30 kilometres over a road which is commonly used by all kinds of game, including elk, bears, mule deer and the likes. 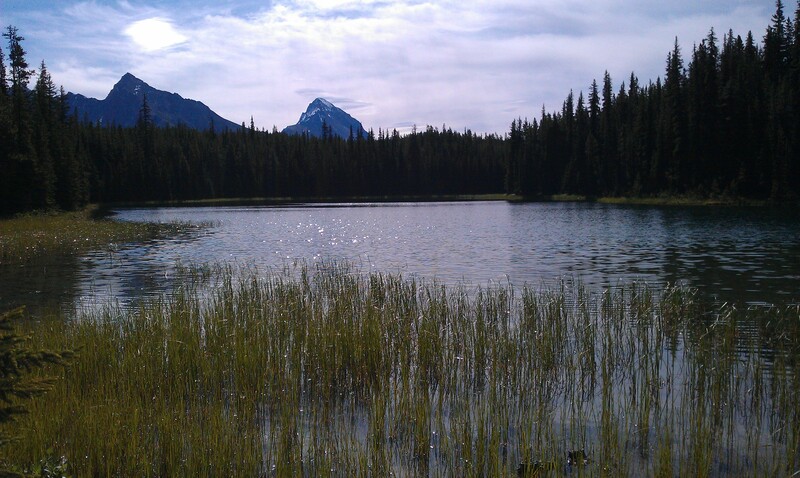 Before you reach Maligne Lake, you pass Medicine Lake. This is a little smaller and is only an overflow to the Maligne River; with small amounts of water flowing through the river the lake ‘disappears’ to a stream. At Maligne Lake, we took a hike to several other tiny lakes (Loraine Lake, Mona Lake) somewhere on the forest, which was a great way to start off. A lovely walk! 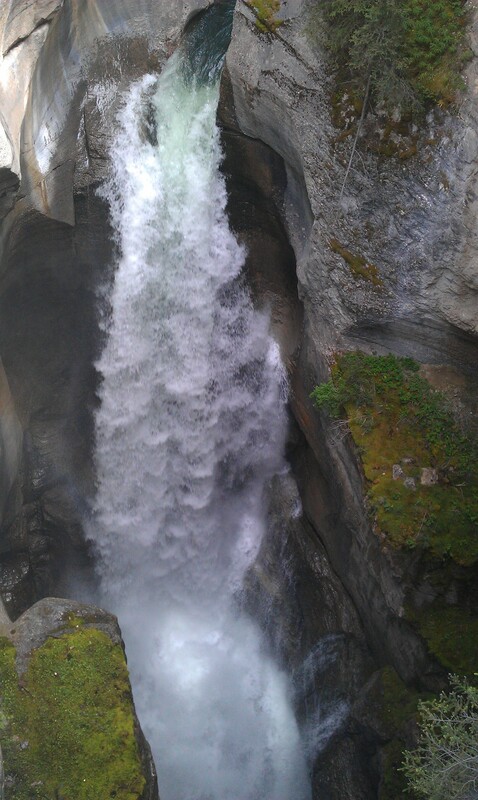 After this, we drove to Maligne Canyon to check out the awfully narrow gorge in which the river flows. It is at parts over 30 metres deep and mostly about 5 to 20 metres wide. A really weird gorge to see, but very picturesk! With those activities done, and having walked about 8 kilometres over rough terrain, we were pretty knackered but dedicated to go see the next highlight: Edith Cavell Mountain. 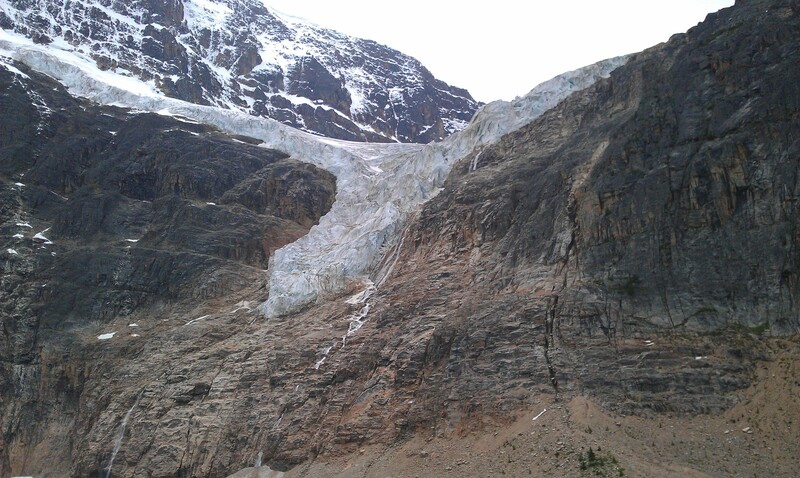 This is a huge 3.5 km mountain with a glaciers at its base. 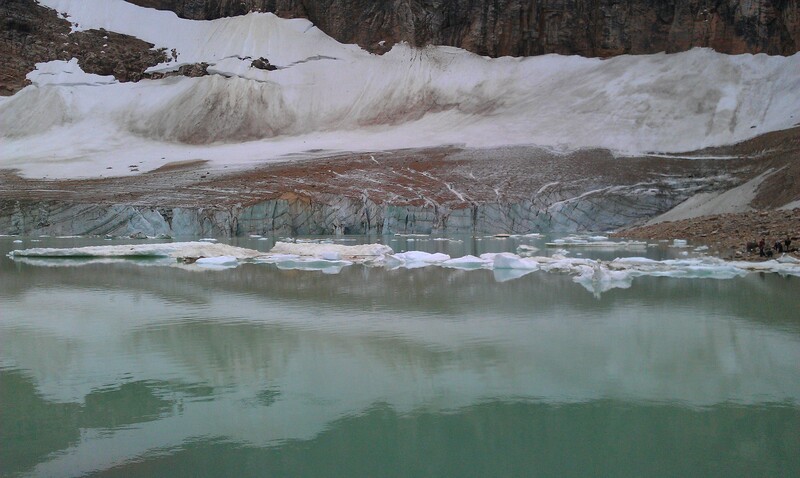 You can even walk up to it and experience the glacier and the melt lake for yourself. This added another 2 km to our itinerary, and made a total of 10km on foot. Wow. 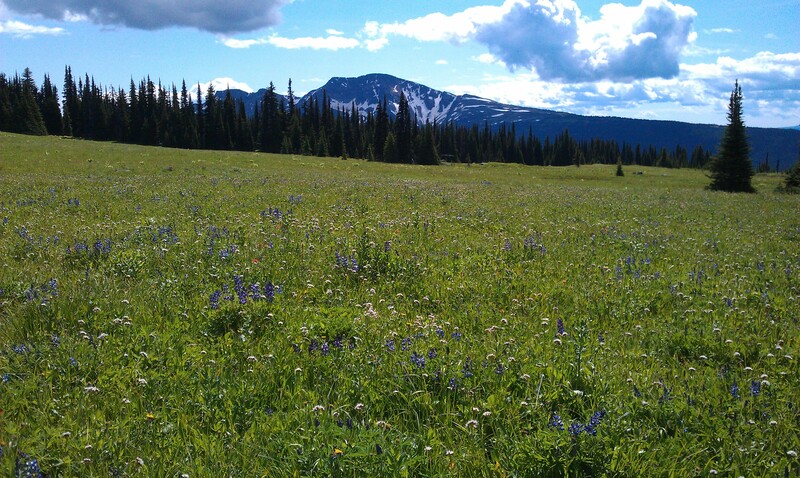 Tomorrow, we are off to Clearwater and Wells Gray Provincial Park, but first: sleep!